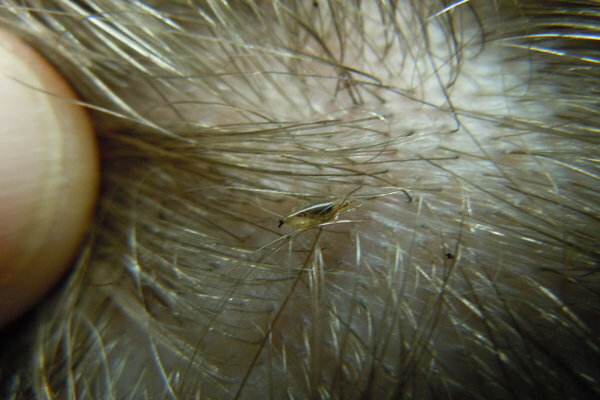 Lice are tiny, wingless parasites that live on the scalp and hair shaft and feed on human blood. These tiny menaces can evade the head and even home if left unchecked. People, mostly kids, usually get lice from coming in contact with the infected person in school, sleepovers and social gatherings. Sharing combs and hair accessories and wearing clothes of the infected person can also transfer lice. It is quite difficult to terminate lice within a short span of time. Combing is effective, but it is a long and tedious process. Using harsh, over the counter medication can have adverse effects on the hair. However, you can eliminate lice by following simple home remedies. 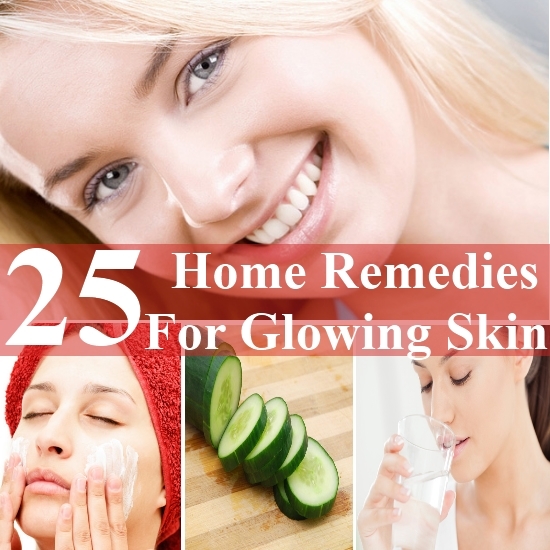 These remedies can take even a month to show results, so be patient. A delousing shampoo can be very effective in eliminating the lice from the hair. Apply the shampoo generously on the scalp and leave it for 10 minutes before washing it off. After washing off the shampoo, rinse the hair with the kitchen vinegar and water solution. Vinegar will dissolve the bodies of dead nits. Use the lice killing shampoo in every ten days. While selecting the lice killing shampoo, choose those that contain Permethrin not linden, as linden infused shampoos can lead to nervous system damage and brain cancer. Mix equal quantities of water and apple cider vinegar and rinse your hair with it. The vinegar will helps to dissolve the bodies of the dead nits. Alternatively, mix a half cup of vinegar and a half cup of olive oil. Apply the mixture to your hair and scalp an hour before shampooing. Cover your head with a shampoo cap for maximum penetration. Wash it off with your regular shampoo. Petroleum jelly has a stifling influence on the roaming lice, which eventually kills them. Apply a thick layer of petroleum jelly and cover with a shower cap. Leave it overnight. Use a baby or mineral oil to remove the petroleum jelly and lice along with it. Repeat this procedure several times in a row to get rid of lice completely. Essential oil is very beneficial in killing the lice and soothing the itching. Take 20 drops of tea tree oil, 15 drops of lemon oil, 10 drops of rosemary oil and mix them with vegetable oil. Rub this mixture on the hair and wrap the hair in a plastic cap or towel. Leave it for an hour and then shampoo and condition as usual. Do not forget to comb the hair while it is wet to remove the lice. A metal, long toothed lice comb can also help get rid of lice. The comb of the teeth should be around 1.5 to 2 inches long. Apply 1 teaspoon of conditioner on your hair before combing and keep a bowl of hot water by your side. Dip the comb into the hot water first and then comb each section of the hair. Make sure you comb the hair in all directions, especially at the nape and behind the ears. Apply rubbing alcohol generously to the scalp and hair. You will experience a stinging sensation but fret not, it is normal. Take some conditioner and rub into the scalp. Then take a louse comb and brush out the lice. The strong scent of garlic suffocates the lice, which kills them ultimately. Grind 10 garlic cloves into a paste and add 3 teaspoons of lemon juice to it. Apply the mixture on the scalp and leave it for half an hour. Then rinse it off with hot water. Alternatively, make a thick paste combining cooking oil, garlic juice, lemon extract, green tea, and some shampoo and conditioner. Apply the paste on the hair and cover it with a shower cap. Leave it for an hour and then wash it off with your regular shampoo. Follow this treatment for 2 months regularly to treat lice and nits. Baby oil can also help suffocate head lice. Apply some baby oil on your hair and comb with a louse comb to remove the lice. Wash your hair with detergent and hot water. Before going to sleep, apply some white vinegar on your hair and cover it with a shower cap. Leave it overnight. In the morning, wash it off with shampoo and follow it with a conditioner. Follow this process for 3 to 4 days to kill head lice. Mix half cup of olive oil with half cup of conditioner and add some liquid soap to it. Apply this solution to the hair and leave if for an hour. Rinse out your hair and apply a conditioner. Comb your hair thoroughly to remove the dead lice. Follow this remedy once a week to remove head lice. Salt can eradicate head lice through desiccation. Mix a quarter cup of salt and vinegar thoroughly. Spray the solution on the hair generously and then cover it with a shower cap. Leave for about 2 hours and then wash it off with a shampoo. Tea tree essential oil is a natural insecticide, making it an effective treatment for head lice. Mix one teaspoon of tea tree oil with an ounce of natural shampoo and three tablespoons of olive oil. Apply the solution on the hair and cover your head with a towel. Leave it for half an hour and then rinse it off with hot water. Comb the hair to remove the dead lice. Do not apply tea tree oil directly to the scalp. The lubricating nature of coconut oil will prevent the lice from moving around freely and multiplying. Rinse your hair with apple cider vinegar and leave it to dry. Saturate your hair with coconut oil and leave it overnight. Wash it off in the next morning with shampoo as usual. Repeat this every day to eradicate the lice. Add some drops of anise essential oil to make the treatment more effective. This is a safe and inexpensive method of eliminating the head lice. Acetic acid in white vinegar can help kill lice. Dilute white vinegar with an equal amount of water and saturate your scalp and hair with it. Wrap a towel around it and leave it for an hour. Dip your comb in white vinegar, focusing especially on a small section of the hair. Rinse your hair with white vinegar even after shampooing. Sesame seed oil contains antibacterial, antifungal and insecticide properties, which can help to eradicate lice. Mix 1/4th cup of sesame oil with 1/8th cup of neem oil, half teaspoon of rosemary essential oil and one teaspoon of tea tree oil. Apply the solution on the scalp and leave it overnight. Comb the hair in the morning to remove the dead lice and then shampoo normally. The viscosity properties of mayonnaise will suffocate the life of the head lice. Apply mayonnaise liberally on the scalp and cover your hair. Leave it for 4 hours and then shampoo to remove the dead lice. Follow this method once a week. You might be surprised to know, but Listerine mouthwash can also help to eliminate the lice. Mix 2 cups of Listerine in one cup of water and pour on the hair. Cover it with a plastic cap and leave it for a few hours. Wash it off with shampoo and conditioner and comb your hair wet to pull off the eggs from the hair. Make sure you sterilize the clothes, bedding, pillowcase and other washables used by the affected people in hot water. Seal the non-washable items in a plastic bag for a week to kill it. Drying the clothes at the hottest setting will also help. Vacuum the upholstery, carpet and mattress well. Clean the wall and flooring with a solution of 10 parts of water and 1 part of bleach.